Dear Father Fortea, do demons experience time like we do? Therefore, when we say that the spirits in heaven and hell are in “eternity,” we need to understand this as an unending temporal succession (i.e., the passing of time without end) from a distinct beginning (i.e., the moment of their creation). Strictly speaking, only God is eternal; only He has “no time.” God experiences past, present, and future as eternally present. To learn more about spiritual warfare and demonology, Catholic Spiritual Direction recommends Fr. 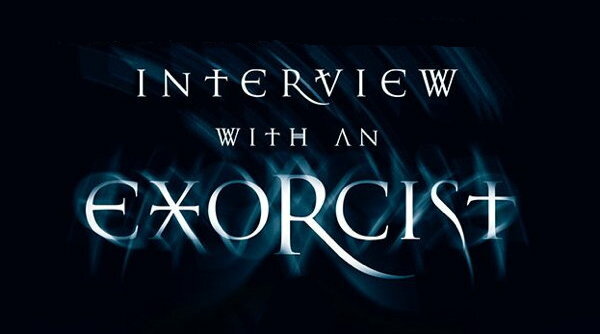 Fortea’s excellent book Interview With An Exorcist – An Insider’s Look at the Devil, Demonic Possession, and the Path to Deliverance. Art for this post “Do Demons Experience Time?”: Detail of Padre José Antonio Fortea 2017, photographed by Elgatoconbotaselgatoconbotas, 5 May 2017 own work, CCA-SA 4.0 International, Wikimedia Commons. Cover of “Interview with an Exorcist” used with permission, all rights reserved. Father José Antonio Fortea is not only an exorcist, but also a writer, and parish priest. He once thought he would lead what he has termed ordinary life as an attorney in Madrid, much as his father did before him, but sensed instead a vocation to the priesthood in his adolescent years. A theology graduate of Navarre University in Spain, Father Fortea wrote a thesis there on exorcism. He has been a practicing exorcist for several decades.